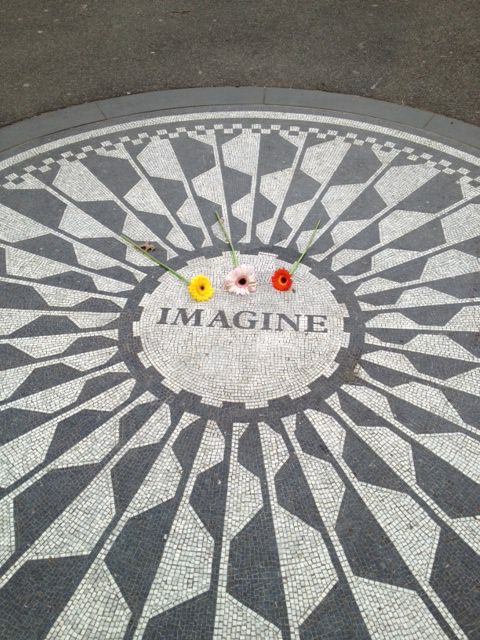 Imagine what music John Lennon would be creating today. Imagine what he would think about, hearing emerging talent like Tosin Abasi and Animals as Leaders. Imagine if he further expanded his writing skills by writing movie soundtracks or books. But still, it’s hard to Imagine all he did within his twenty years of unrestrained creativity as a Beatle and solo artist. When I see bands like the FabFaux recreate great Beatles albums, I realize how special he was. I cried at the end of the LOVE review in Vegas, overpowered by sensory overload of the music, visuals, and then realizing that he and his lads created those songs over forty-five years ago in an unbelievable short stretch of time. I just had to post this, having walked by Dakota and taking this shot of his memorial in Central Park yesterday.